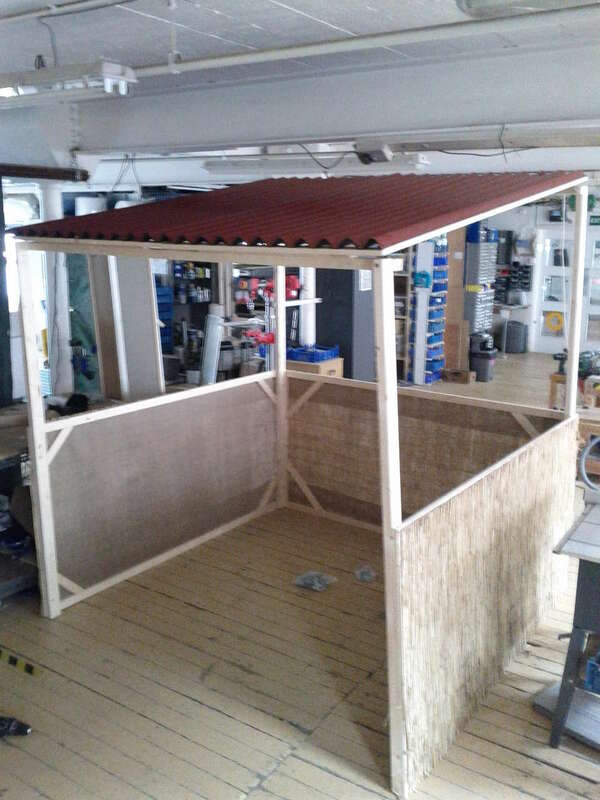 Renewable Energy Innovation was recently asked to build an exhibition stand and equipment for Engineers Without Borders UK. They wanted the equipment to work with a wide range of ages and at various events. 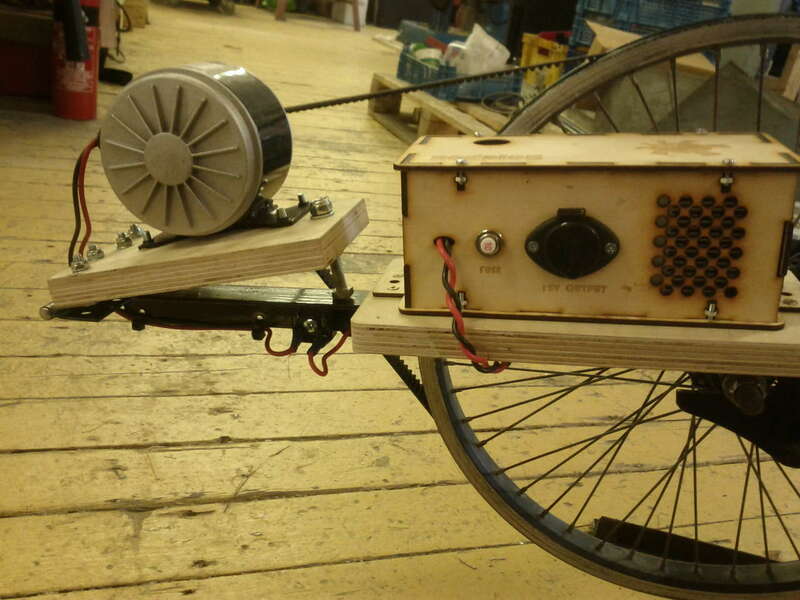 We were commissioned to build a pedal generator with sound system, a rope-washer pump and a small solar PV system. We also built three easy to set up booths, which can be used in different ways for different events. The first event this will be used at is the Big Bang 2013 science festival. There were three main exhibits we built. 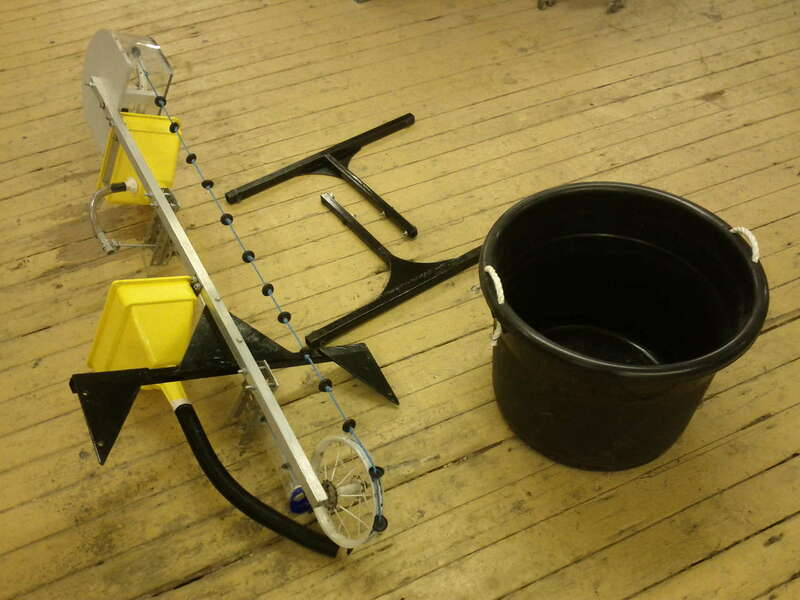 The rope-washer pump is an example of a simple technology which can be used to pump water using human power. 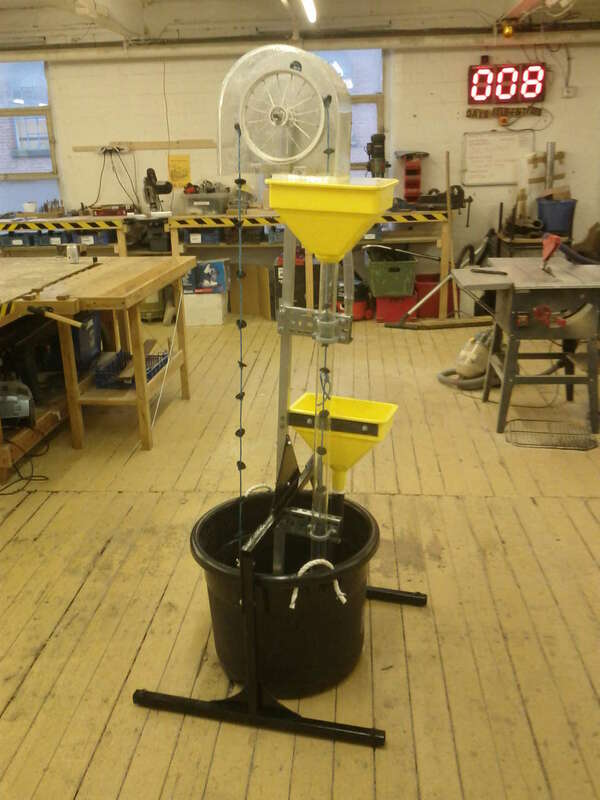 EWB-UK have produced a guide for running a rope-washer pump workshop. 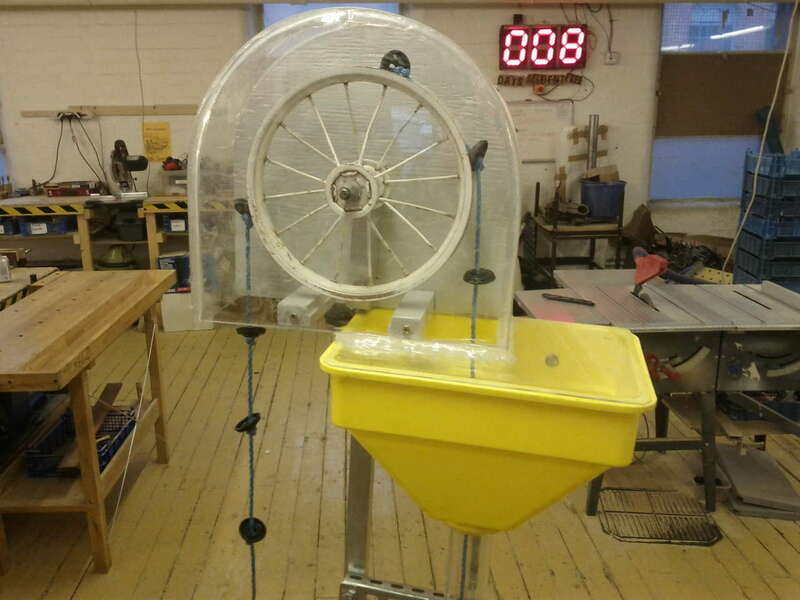 We designed one with a clear plastic tube so that people can see the operation of the pump. Water pumped then flows back via a small hand basin, where the subject of health and sanitation can be discussed. 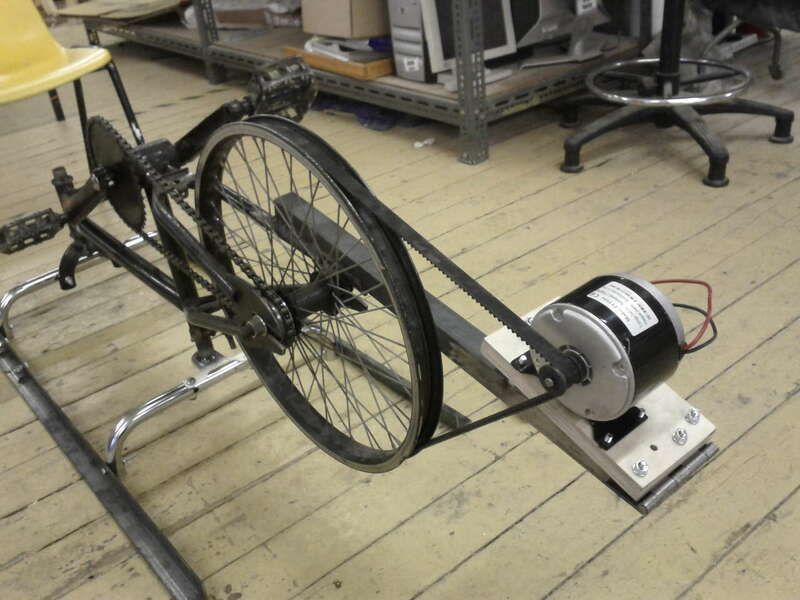 A pedal generator was also built. This is a demonstration of generating small amounts of electricity for off-grid power. Its also a fun and interactive exhibit, which can be used even in the British weather. It provides 12V power, up to around 50W. It can be used with the small sound system or to recharge phones at events. The last demonstration was a small off-grid solar power system. This was based upon my off-grid solar PV system kit and uses a 10Wp PV panel wired to a charge controller and a small lead-acid battery. It can provide a 12V output. 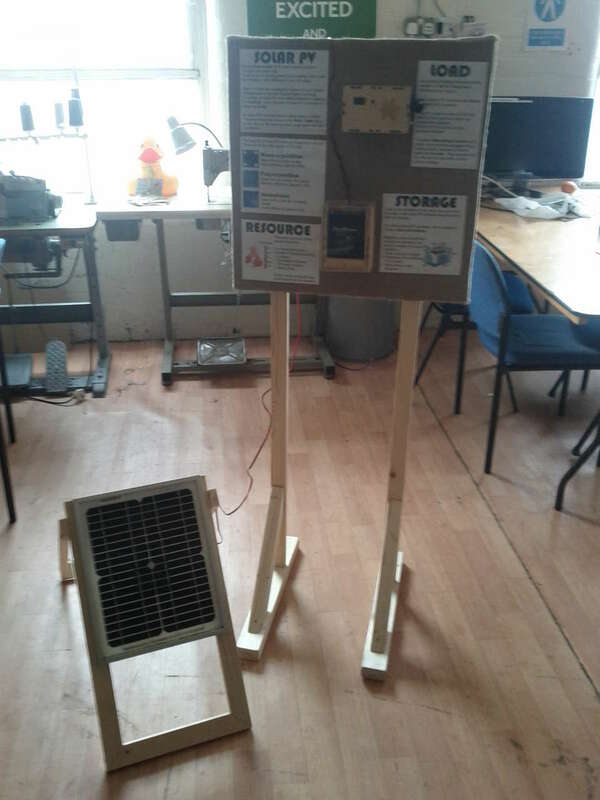 Information about solar technology and resource was added to the display. We also built three exhibition units. These were relatively easy to put up units based on a wooden frame. 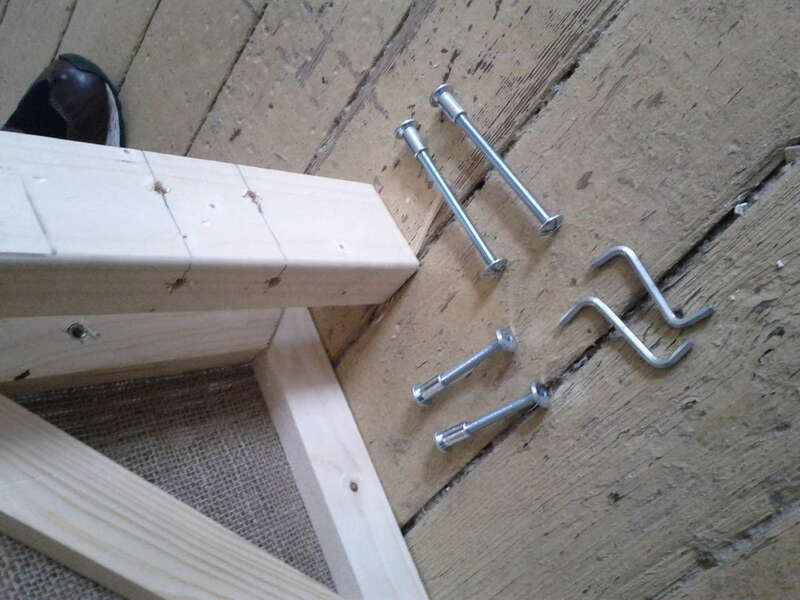 They were designed to look like simple housing, as used by a huge number of people around the world, although these were also design to be taken apart and fit into a vehicle. Here are some images of building the various exhibits, which hopefully explain how we did this all on a minimal budget. Small bike wheels were used at the top and the bottom of the unit. A funnel collects the pumped water. The plastic cover stops water going everywhere. This unit is designed for use indoors or out. 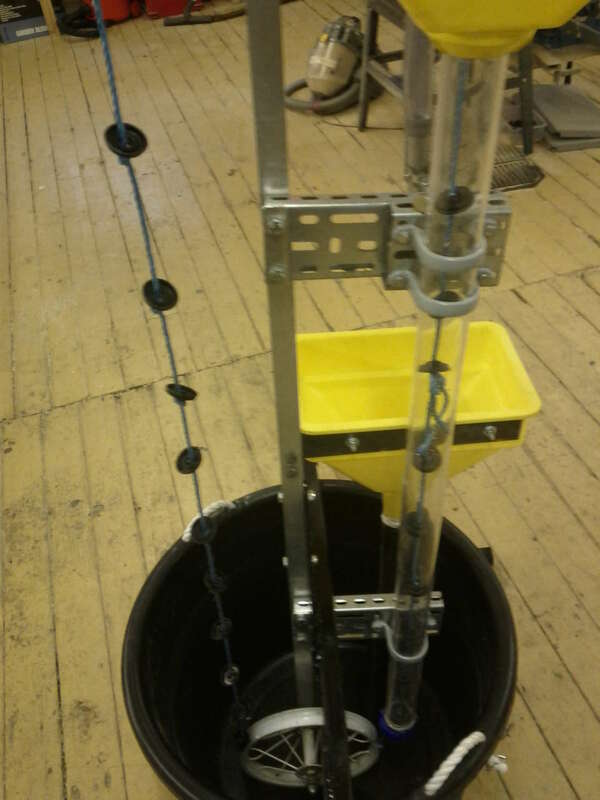 A clear plastic tube shows the water rising with the rope and washers. A large bucket is used to hold the water. 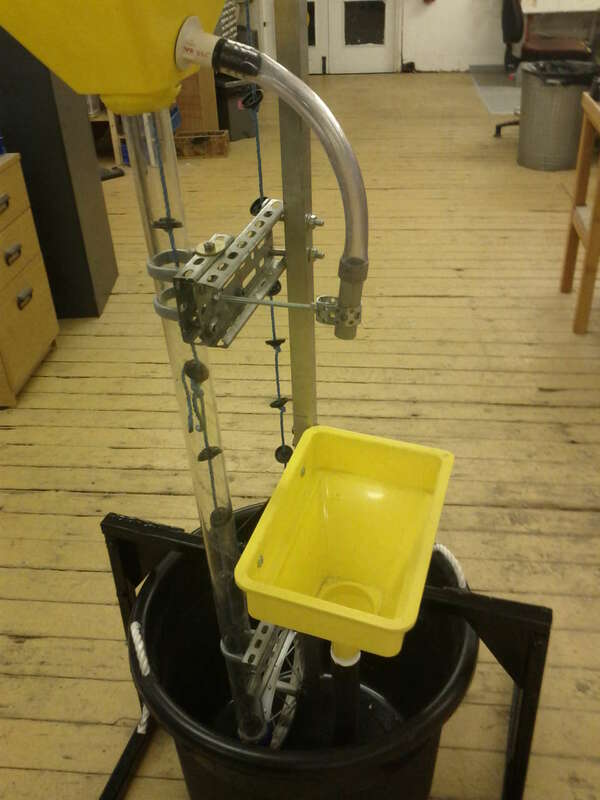 The participant pulls down on the left hand side to pump water up the right hand side tube. The water flows through a short tube and into another funnel. This represents a hand basin and is designed to get the participant to think about health and sanitation. Water is recycled into the large black bucket. The unit un-bolts to be transported. 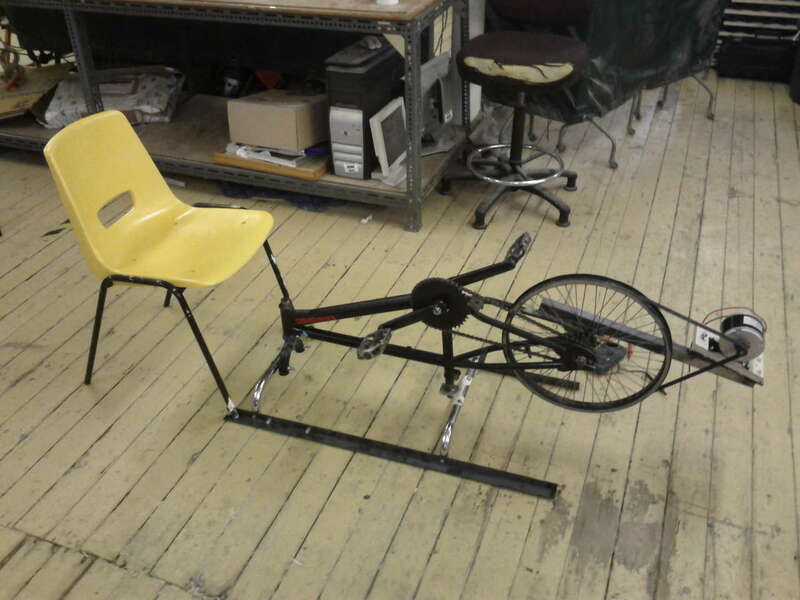 The pedal generator is based upon an old BMX bike, along with a standard plastic chair. A toothed belt goes around the wheel to the generator. 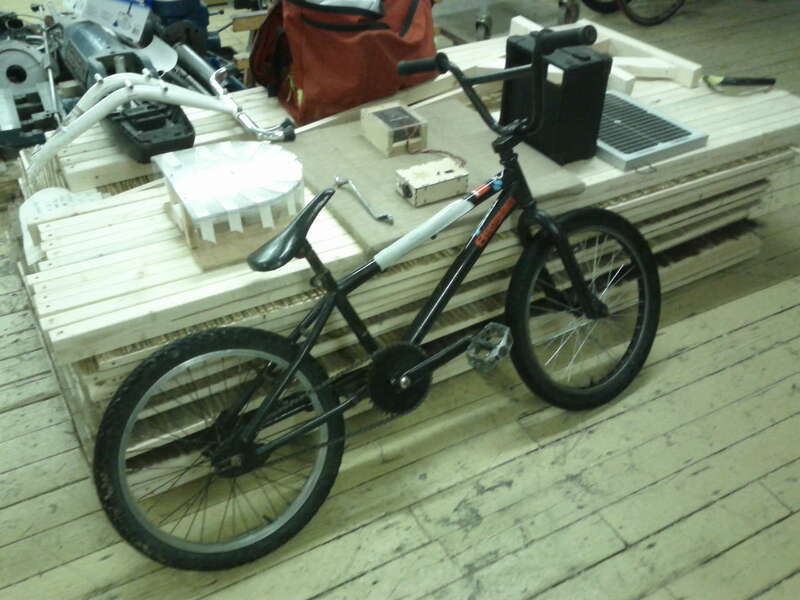 This was the donor bike – it had no brakes and a buckled front wheel. 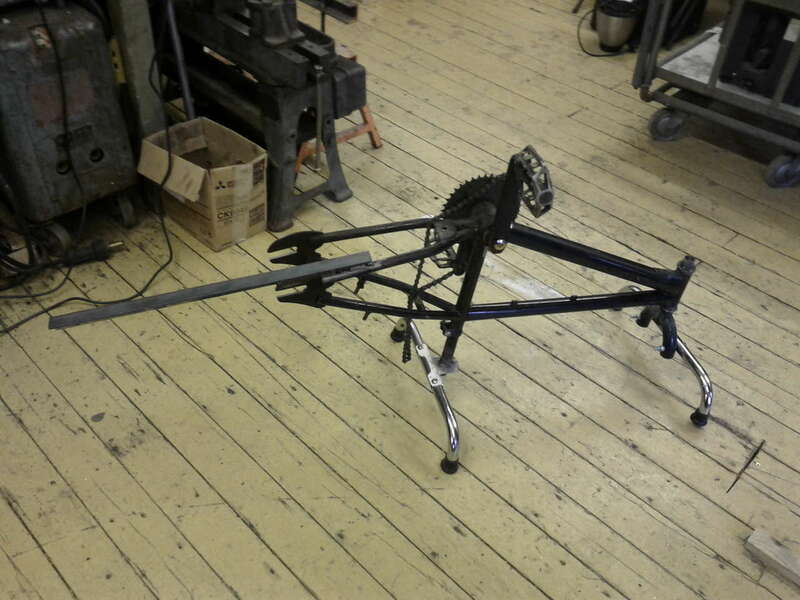 Some ‘legs’ from an old exercise bike were welded onto the bike to make a frame. 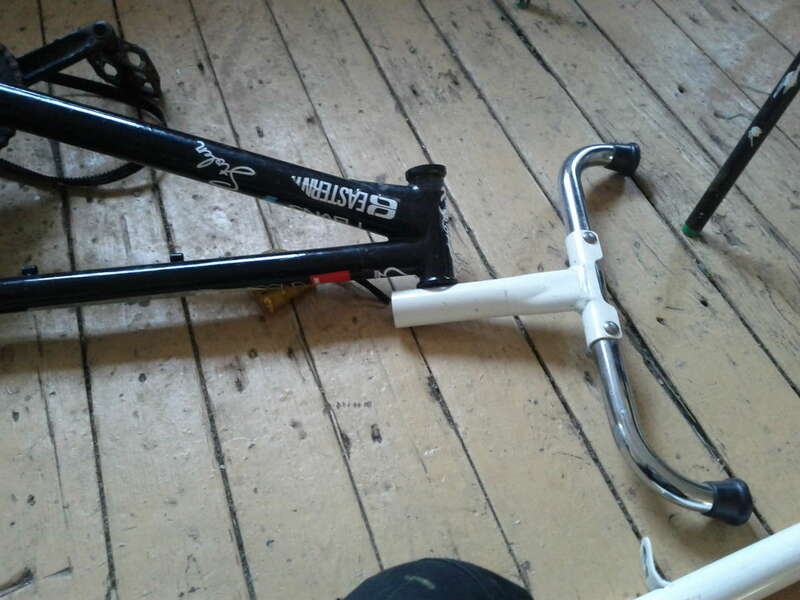 The BMX was inverted and the front wheel was removed. A piece of angle steel was welded to the frame which will hold the generator. Some angle steel was used as runners for the feet. The generator is attached with a hinge to the steel frame. This shows the toothed belt and the generator (an old electric scooter motor, run in reverse to be a generator). The hinge has a long bolt which can be used to tension the motor into the belt. The hinged generator, along with a diode (to stop the generator acting like a motor) and the pedalog, which is a shunt regulator to ensure the voltage stays within the correct range. 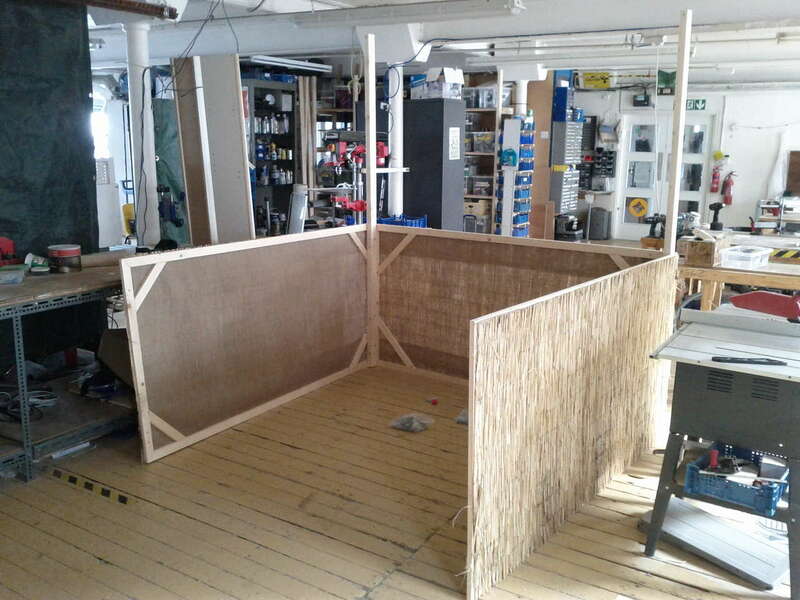 The stands were comprised of 1m x 2m panels. 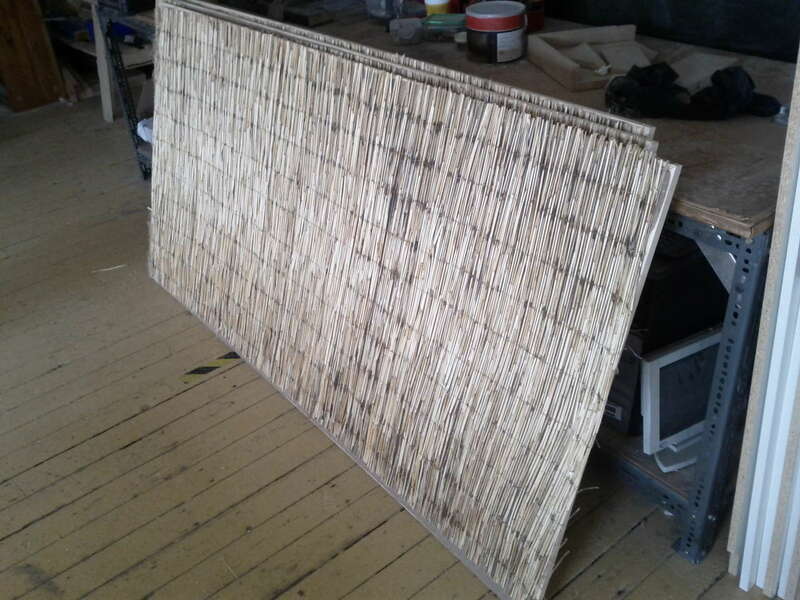 We used three different coverings: reed, bamboo and brushwood. 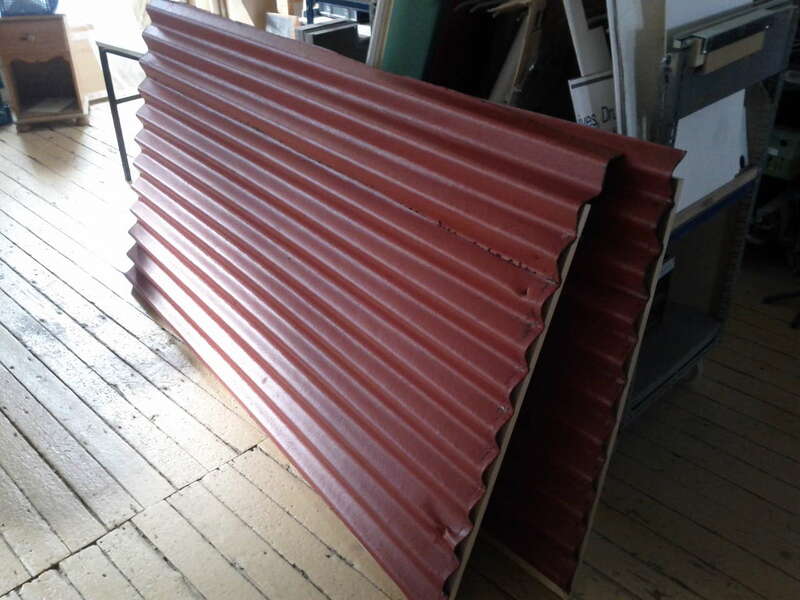 The roofs were also 1m x 2m panels with corrugated rubberised roofing panels. 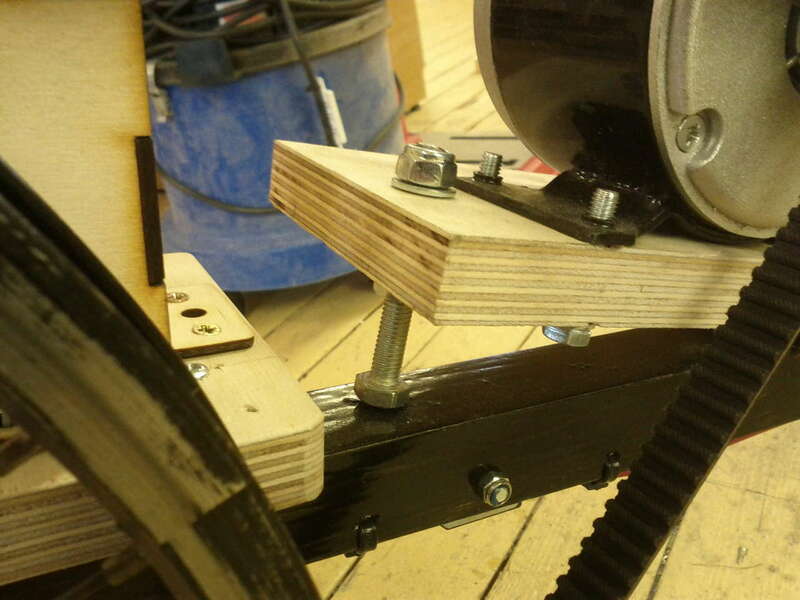 The stands were designed to fit together with furniture screws and standard allen keys. The base of one unit built up. We used hessian cloth as a backing material. One of the three finished fair stands. They will be used inside and outside for a number of different events. Each one is 2m x 2m. How did you connect the small shaft/drum the motor that is also connected to the belt? 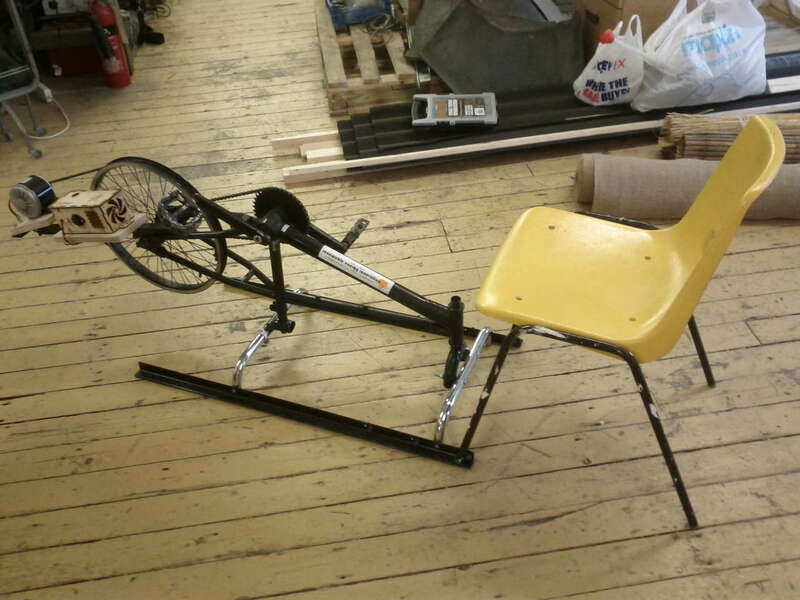 Which comes with a ‘belt drive fitting’. The pitch of the ‘belt drive fitting’ is 5mm. Quoting Guest: How did you connect the small shaft/drum the motor that is also connected to the belt?